The best road show in college basketball right now might be Texas Southern University. The Tigers (24-13) won its third straight road game in the College Insiders Tournament with a 108-102 triple-overtime win over Louisiana Monroe on Thursday. 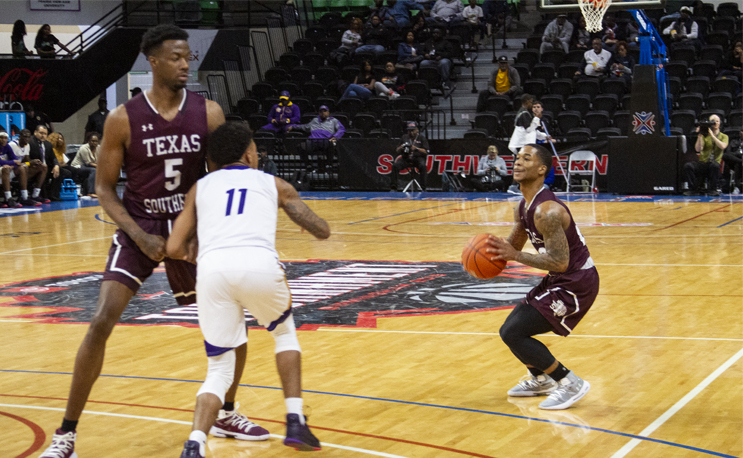 The 24 wins is a school record for the program.
.@TXSOTigers wins at Louisiana-Monroe 108-102 F/3OT in the quarterfinals of the https://t.co/kdbETOLZR8 Tournament. TSU's 24 wins set a school record since the Tigers joined the NCAA. Tyrik Armstrong played all 55 minutes of the game, leading the way with 32 points and a perfect 6-6 night at the free throw line. SWAC Player of the Year, Jeremy Combs, had 27 points and 11 rebounds. Fellow big man Eden Ewing had 23 points and 11 boards as well. Ewing was 10-14 from the floor. Texas Southern trailed by six at the break and found themselves down 56-44 with just over 14 minutes to go in regulation. But Armstrong started putting in work and the Tigers were able to tie the game up with just under a minute to go. In the first overtime Michael Ertel from ULM hit a three pointer with one second remaining to tie the game at 88 and force a second overtime. In the second overtime, it was a missed three-pointer with three seconds remaining by TSU’s John Jones that sent the game to a third overtime tied at 95. In the final frame it was Eden Ewing who came up with seven points, including a three pointer, to ensure that TSU would never trail again. The Tigers advance to the semifinals of the CIT in the opposing bracket of Hampton University. Should both teams win the CIT would feature an all HBCU Championship Game. Hampton will face Marshall while Texas Southern awaits the winner of CSU Bakersfield (18-15) vs. Green Bay (19-16).